Cathy Guinovart is the Administrator for FIU's Center for Coastal Oceans Research. 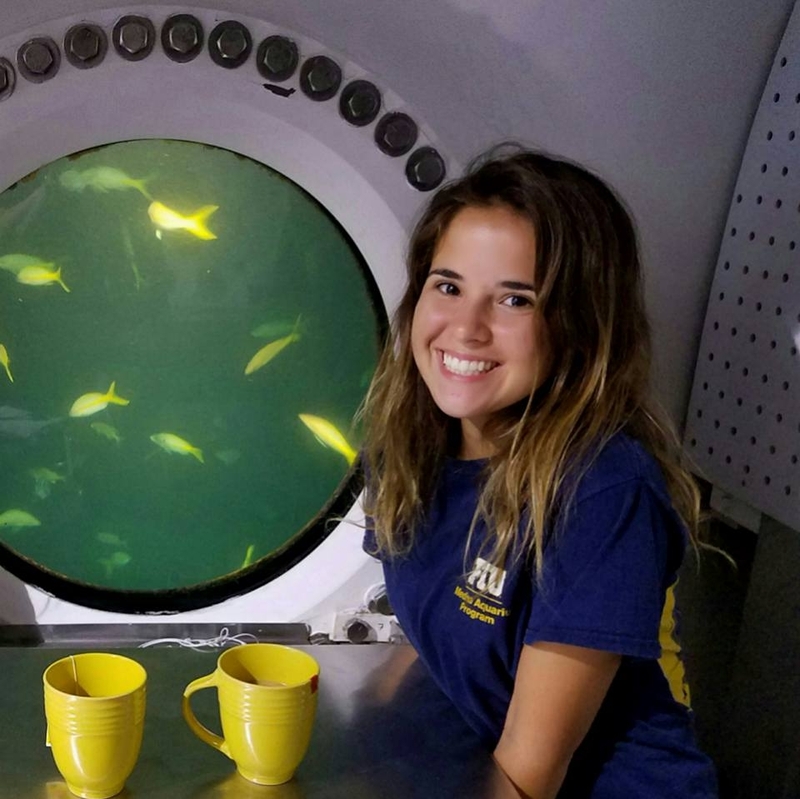 Her work with FIU started in 2014 when she began as a volunteer with the Aquarius Program. She then got hired as a Student Education and Outreach Coordinator and assisted in the development of educational programs to teach students around the world about the health of our oceans and Aquarius's role in inspiring marine conservation. She also served as the Marketing and Science Communications Coordinator with FIU’s School of Environment, Arts, and Society helping to translate science conducted by FIU researchers into content that can be understood by a diverse audience. She utilizes platforms, such as web outlets, marketing materials, and social media to engage the FIU community and execute strategic communication.